When Gwyn was young, her mother left Alaska to raise Gwyn's sister, Sophia, in Chicago. 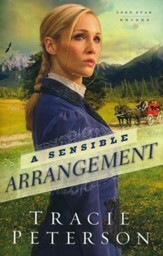 Now it's 1935, and Gwyn works as a nurse at her father's Alaskan practice---where a strange turn of events places Sophia's former beau on their doorstep. Will the spark between Gwyn and Jeremiah be ruined when his secret is revealed? 352 pages, softcover from Bethany. 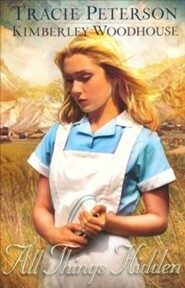 Gwyn Hillerman loves being a nurse at her father's clinic on the beautiful Alaskan frontier. But family life has been rough ever since her mother left them, disdaining the uncivilized country and taking Gwyn's younger sister with her. In Chicago, Dr. Jeremiah Vaughan finds his life suddenly turned upside down when his medical license is stripped away after an affluent patient dies. In a snowball effect, his fiance breaks their engagement. In an attempt to bury the past, Jeremiah accepts Dr. Hillerman's invitation to join his growing practice in the isolated Alaska Territory. Gwyn and Jeremiah soon recognize a growing attraction to each other. But when rumors of Jeremiah's past begin to surface, they'll need more than love to face the threat of an uncertain future. Tracie Peterson is the bestselling, award-winning author of more than 90 novels. Tracie also teaches writing workshops at a variety of conferences on subjects such as inspirational romance and historical research. She and her family live in Belgrade, Montana. Learn more at www.traciepeterson.com. 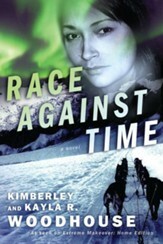 Kimberley Woodhouse is a multipublished author of fiction and nonfiction. A popular speaker/teacher, she's shared her theme of Joy Through Trials with over 150,000 people at more than a thousand venues across the country. She lives, writes, and homeschools with her husband of twenty-plus years and their two awesome teens in Colorado Springs, Colorado. Connect with Kim at www.kimberleywoodhouse.com. I'm the author/artist and I want to review All Things Hidden.